This weekend, I went to a talk at Annie’s Annuals by Bart O’Brien, co-author with Carol Bornstein and David Fross of Reimagining the California Lawn. I bought a copy when it first came out, as their previous book California Native Plants for the Garden is pretty much the gold-standard book about California natives and one which I use all the time. I haven’t really read the new one yet. I looked through it enough to look make sure that I wanted to keep it, but that’s it so far. I’m teaching our Lawn Begone class at Heather Farms again this year, October 22, so I’ll go through it more carefully when I’m prepping for the class. In the meantime I was interested to hear one of the authors give a talk on the subject, and I was also just generally interested in what he had to say as he’s one of the prominent figures in the native plant movement and a director at the Rancho Santa Ana Botanic Garden, which I’ve been wanting to see for a long time now. I haven’t been to any of the other talks at Annie’s, but it was pleasant sitting there in their demo garden, listening. 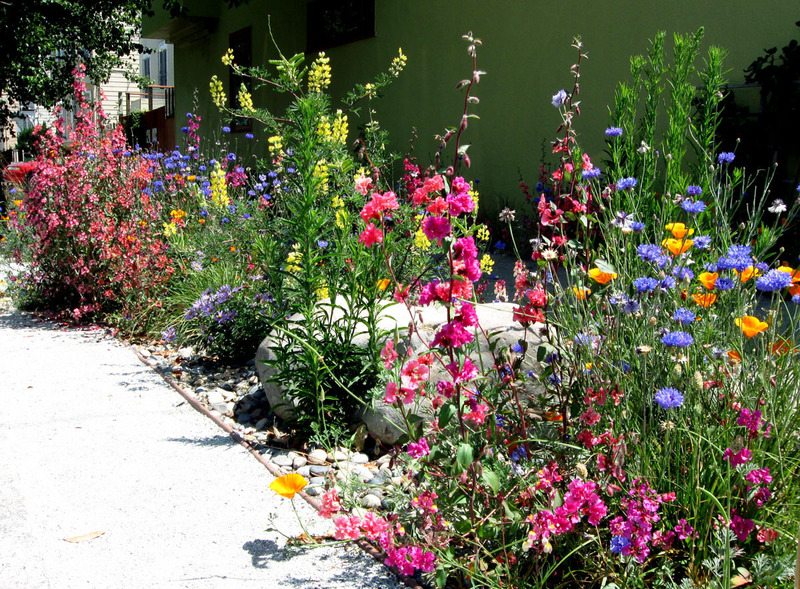 He started with some info about California’s mediterranean climate and then talked about the Garden/Garden project in Santa Monica, pretty much the best comparison of a traditional front yard and a sustainable one. Basically, the city of Santa Monica had two side by side properties and decided to install a lawn/mow-and-blow yard for one and a native garden for the other. They’ve been tracking the results for 6 years now, and it’s of course unfavorable to the mow and blow yard. The native garden uses one fifth of the water, generates less than half as much green waste, and requires much less time and money to maintain. Plus the traditional garden looks like a relic from the 1970’s. I linked to a Sustainable Sites Initiative report on it back in the early months of this blog, but he said the city’s website was really good, and he’s right, it gives a lot more details, including plant lists and construction photos. Worth checking out if you haven’t seen this project before. Greensward — His term for a no-mow lawn. He liked Carex praegracilis as a no-mow lawn substitute. He said Carex pansa and Carex divulsa were fine, too, he just happened to have the most experience with C. praegracilis. Interestingly, he said that high-elevation carex varieties tend to rarely bloom at lower elevations. Kitchen Gardens –Edibles! More relevant for backyard lawns around here. Green Roof — He joked that this got included because his co-author David Fross is a green roof expert. Sheet-mulch/Lasagna method — He was rather neutral about it. Not skeptical or dismissive, but not as enthusiastic as I am. (I think it’s far and away the easiest and best way to remove a lawn.) The book says to cover the layer of newspaper with at least 12 to 24 inches of organic matter, which is excessive. The general consensus is that 4-6 inches of organic matter is the right amount, and I’ve done it successfully with just two or three inches of mulch when it wasn’t practical to mound any higher because of grading issues. He didn’t discuss the process in depth during his talk. Solarization — He says it takes three months to solarize the soil for the wildflower meadow at Rancho Santa Ana. 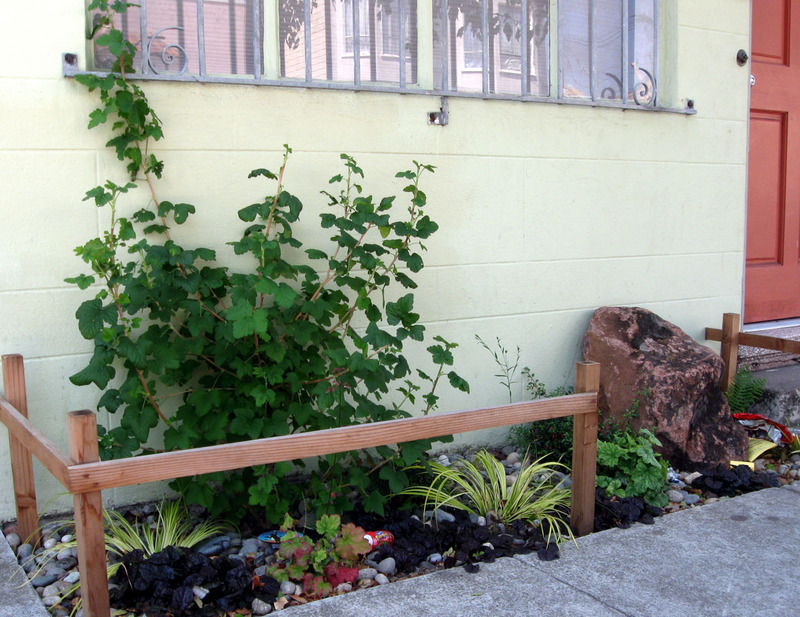 It’s most effective at combatting annual grasses, actually increases germination with some things like lupines, and is not likely to work well in cooler parts of the Bay Area. Judiciously applied chemicals — He removed his own lawn years ago by letting it go brown, then watering it to stimulate growth of the Bermuda grass, and then spot-spraying the growth. He repeated this cycle for three years to completely eradicate his deeply-rooted Bermuda grass. Personally, I don’t have that kind of patience, but I admire someone who does. 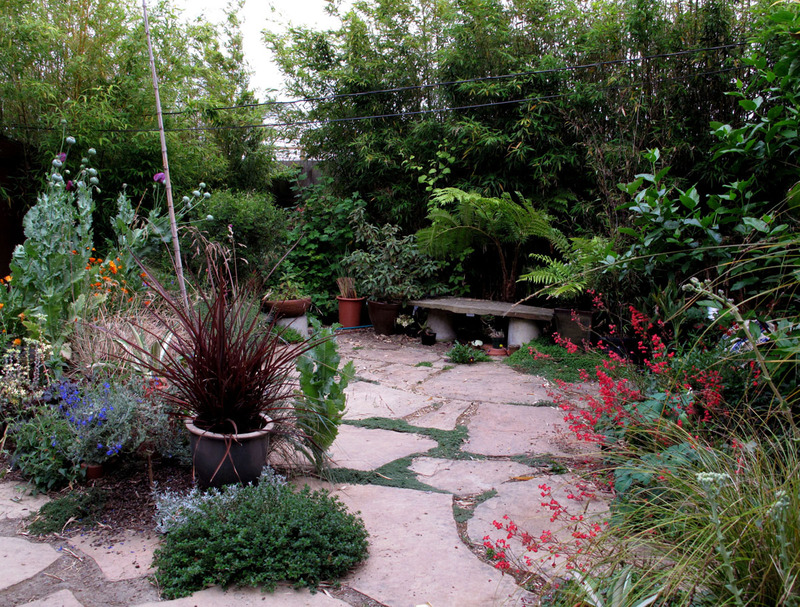 He said that he let his garden go completely dormant once, as an experiment, one year when Southern California had only 2.7 inches of rain all winter. Almost all of his plants survived but they looked dead and he was cited by the city for having such a brown unattractive landscape. The city backed off when he told them about his credentials and what he was doing. He finished by talking about individual plants that he liked and he gave out a list of recommendations which was rather varied, ranging from Dudleyas to Sedums to Buckwheats to Wild Grapes. His focus was on native plants, though I like that the new book gives info on a lot of non-natives too. There were a lot of questions from the audience and he said other things I’m not remembering at this moment and by the end everyone seemed gung ho to go right ahead and remove their lawns. Good stuff. Last week in Berkeley, there was a showing of Green Fire, a documentary about Aldo Leopold that is making the rounds. The trailer embedded above is a bit slow, but the full length film is engrossing and well worth a viewing. A Sand County Almanac made a big impression on me years ago, but there’s more to Leopold’s story than just that, and the film conveys that same sense of a Leopold as a great conservation thinker. It can’t be overstated how far ahead of his time he was. Among other highlights, the film has footage of the shack and farm — now a national historic landmark — where he wrote A Sand County Almanac. I remember reading the book, reading about his efforts to rehabilitate the land, and wondering how his conservation efforts there endured after his death. Quite well, apparently, no doubt in part because his children were conservationists too. 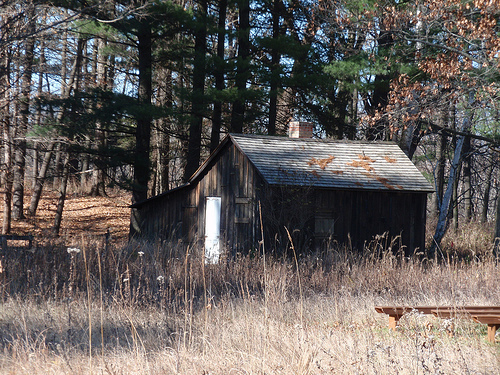 The photo above is from Wikimedia, this blog has a few more photos of the shack and land, and there’s a slideshow of black and whites at the Aldo Leopold Foundation website for contrast. But you get the best sense of the place by watching the film. The KQED climate blog, reviewing the film, says it will probably be shown on PBS in about a year. 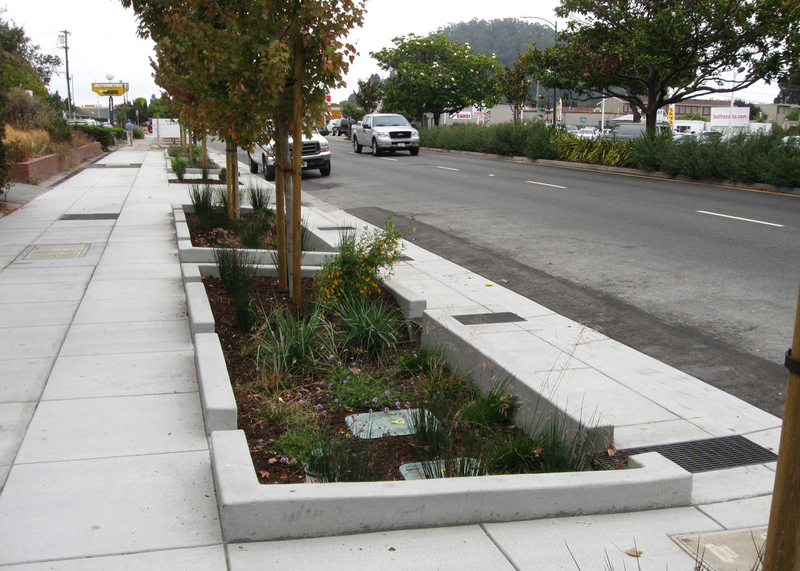 As part of the stimulus program and various water quality initiatives, El Cerrito got funding to add some rain gardens along San Pablo Avenue, the main commercial street in my neighborhood. 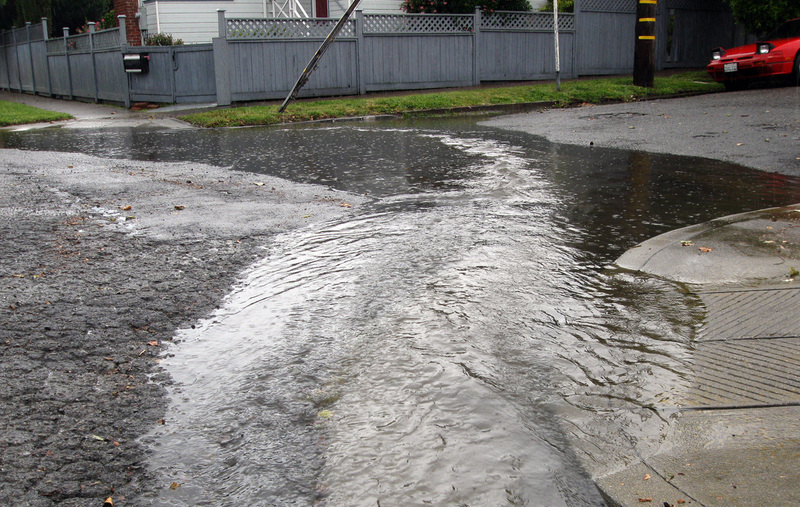 A huge percentage of the area is covered with concrete, so when it rains the water has nowhere to go and the streets can look like this photo I took in May; sometimes I feel like I should get out a kayak. 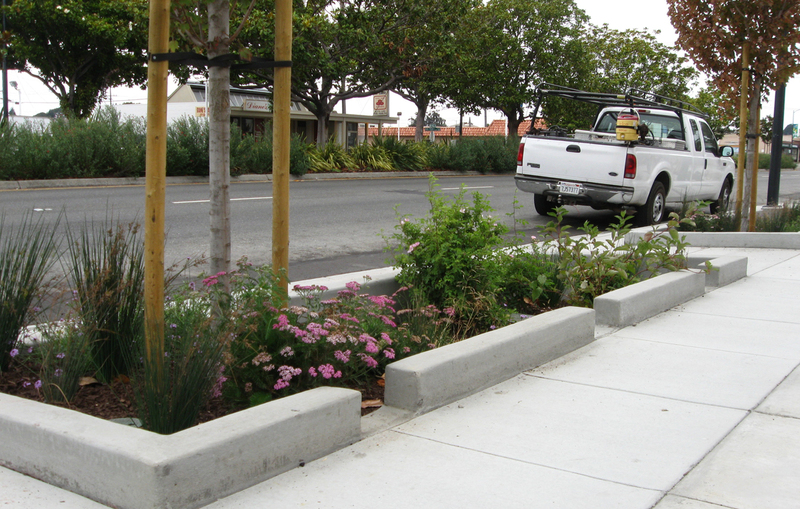 To help mediate that, the city redid two sections of sidewalkswith plantings set below the grade of the street. 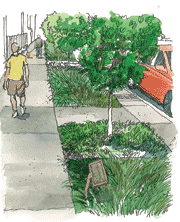 Instead of draining straight to the bay, stormwater will now flow from the streets and sidewalks into planting areas where sediment will drop out of the water and pollutants and trash will be filtered by the plants. There are 600 total linear feet of basins in the two separate areas, calculated to treat 1.23 acres of paved surface; the San Francsico Estuary Institute is going to monitor water quality to see how big of an effect the gardens have. There’s a podcast about the project here. 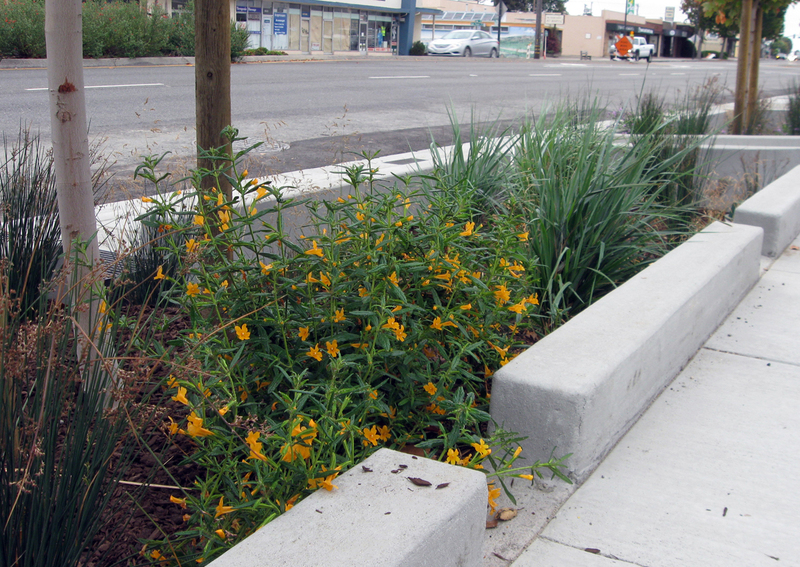 It’s a nice use of plants to address an infrastructure issue. 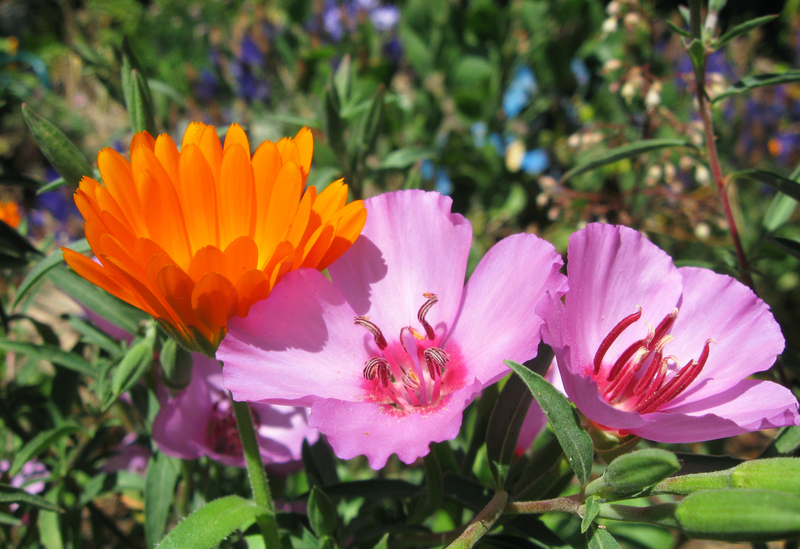 The plantings are all natives. Juncus, leymus, and a grass that looks like a melica are the main species, peppered with some yarrows, two monkey flowers, two California fuchsias, two Ribes speciosa, several Verbena lilacina, two wild roses, a redtiwg dogwood, and a Doug Iris. 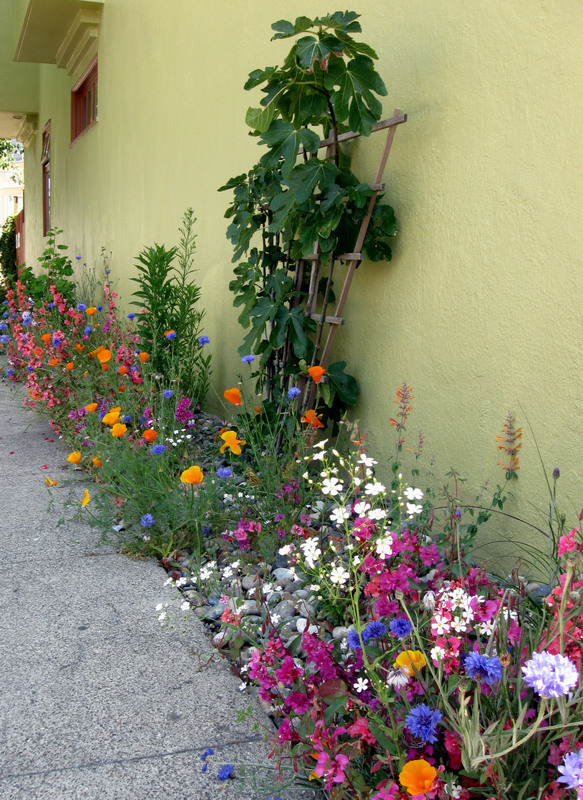 There are one or two blooming plants in each planter right now, not a big impact, but just enough to focus the eye as you walk past each one. 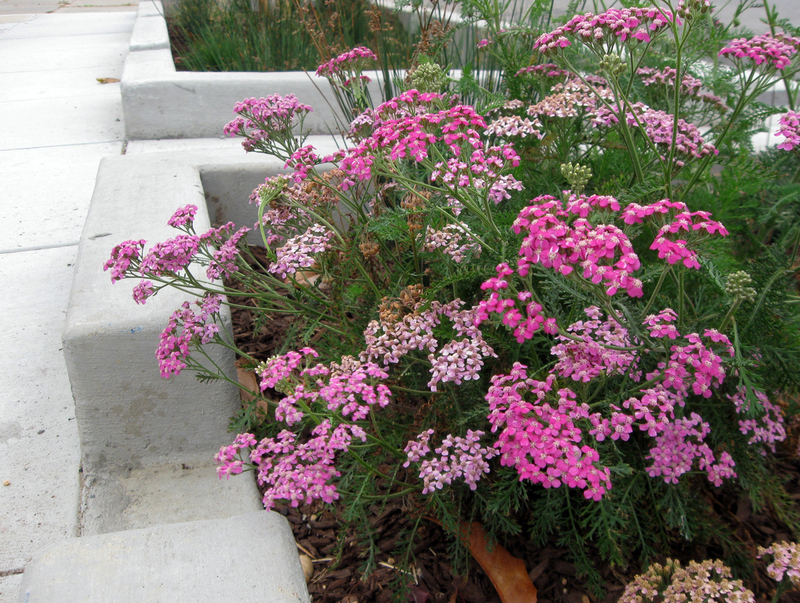 The El Cerrito Patch says the cost of the project was $350,000 for the two sections of rain gardens. I didn’t notice until I saw mention at veg.itecture, but Malcolm Wells passed away last month at 83. Wells was the author of Underground Designs, one of the earliest books to advocate for underground buildings, green roofs, and what he called “gentle architecture,” architecture that would leave the land no worse than the architect found it. It was probably the first book I ever saw on green building, and one of the first, I’m sure, for many other people. As happens so often, his passing got me looking at his work again, and there’s a lot there, including some great water colors, drawings, cartoons, and quotes on his website. Highlights are an illustrated glossary of passive solar concepts and suggestions on how to celebrate the holiday he created, Underground America Day (think about moles, eat a parsnip or a radish, stay home from work and put some dirt on the roof…). My bloom day photo of what Daffodil Planter called ‘the vine with multi-colored blooms’ reminds me that I took a photo of it in full bloom back in May. 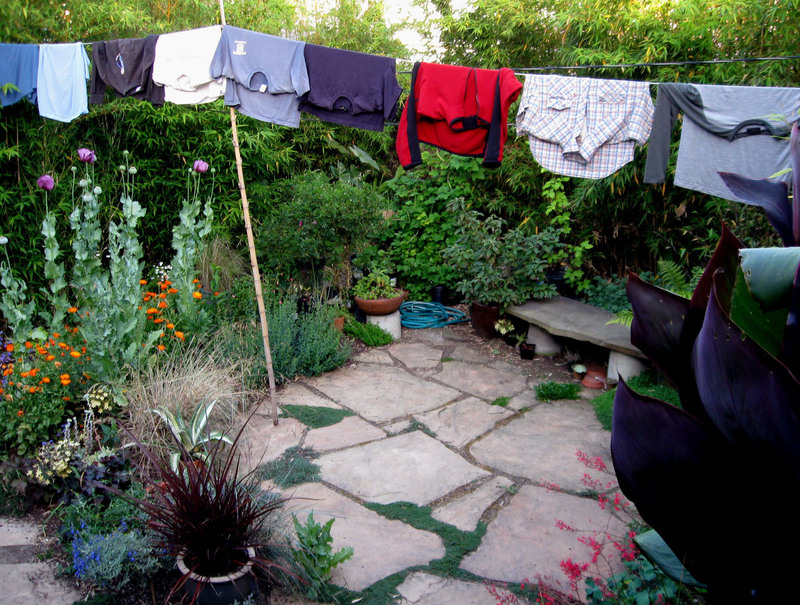 We hang-dry our laundry for a variety of practical reasons — it doesn’t use fossil fuels (clothes driers account for 5.8% of residential energy use), line-dried clothing lasts longer, it makes sense in our climate, and, well, we don’t own a dryer — but also I sometimes like the look of it. I remember when I was in Italy I thought the laundry lines between the apartment buildings were very charming, and now looking at two shots of our patio this past spring, I prefer the one with the laundry. I know at least some garden bloggers use a line. Daffodil Planter said she has one. Townmouse has a variety of drying contraptions. It’s getting more fashionable, and there’s, of course, even a blog devoted to the topic.